This week I received a one of a kind gift from one of my readers. 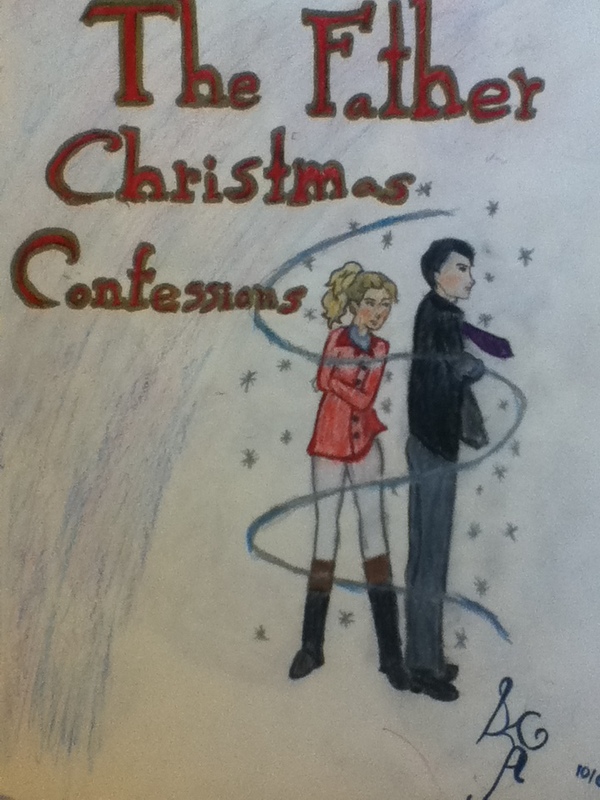 16 year old Sarah A. and her sister Elizabeth sent me this amazing drawing of Jeremy and Virginia from The Father Christmas Confessions. My very first piece of fan art! What I absolutely love is that the characters do look very much like I what I think Virginia and Jeremy look like, even down to Jeremy’s ski jump nose. To Sarah and Elizabeth, I have to say this is one of my favorite Christmas gifts. Thank you so much! < Previous 2014 Movie Round Up – There were actually movies worth seeing this year! Next > Recommending a book that you can’t actually recommend.